I'm working on more stuff for my Earth Security Force. 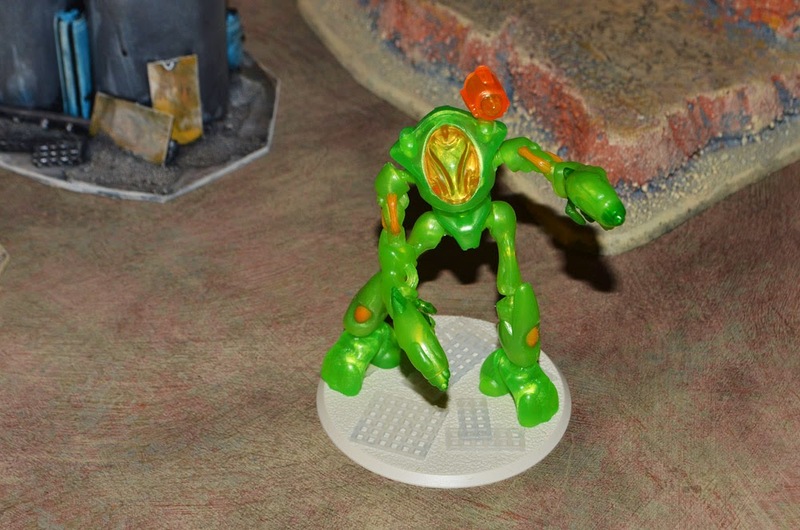 This is a Wraith battlesuit. It is made from a M.A.R.S. robot toy and is almost five inches tall. The base is actually some kind of stop plate to keep doorknobs from breaking holes in drywall. I picked it up at Lowels for two and a half dollars and it is takes paint just fine. It's solid plastic and looks just like a large model base from GW when painted black. They also had a larger diameter one that would be good for a larger mecha model. 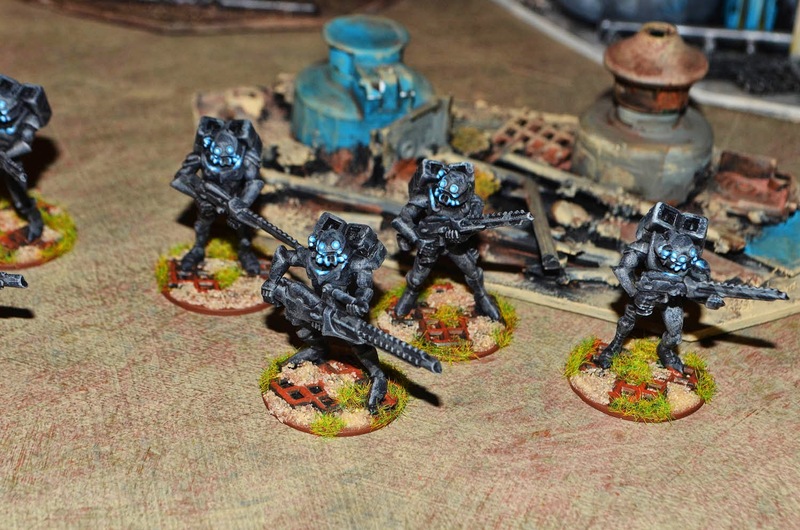 Here is a close up shot of one of the Ghost squads. I'm only adding it here because I got a few request for a larger shot.